Step 1: Know Why You’re Using Social Media. It’s best to have a clear vision as to why you’re using social media and know what objectives you hope to achieve in the social networking space (e.g. to listen, participate in, lead, and be guided by the invisible hand of digital social conversation). Step one is a great time to review your Social Media Marketing Plan that lays out exactly how social media outlets will be used to drive traffic to your website/blog, generate interest in your content, produce leads for new customers, and provide ways to keep existing customers actively engaged through your social networking activities. Doing so will ensure that you don’t waste the limited time and resources you do have “barking up the wrong social media tree”. You can save yourself the time and energy of surfing the web, by bringing the web to use via RSS feeds, which can deliver the top news that you’re actually interested in. The last part of the listening step is to set up Google Alerts and Social Mention for you, your company, and other relevant keywords that can help you keep your finger on the pulse of what’s been said on the web and via social networks. Step 3: Use Your Tools Wisely. Trying to manage several social media sites as one person or a small department can certainly become a cumbersome chore, especially after you’ve incorporated 2 or more outlets. Great tools like Tweetdeck and HootSuite provide excellent ways to monitor your social networks in a column-based format, which you’ll find particularly helpful for managing multiple streams of information. Tweetdeck is a free application that you can download and install on your computer/mobile device, whereas HootSuite is a web-based application that offers similar functionality through both free and low-cost versions. As with most things, the paid version of HootSuite offers more extras, but you should only consider these extras if you can see where you can derive a direct business utility from them. This blog post talks more about HootSuite Pro (the paid version) and gives a bit more information about it. Step 4: Learn From the Story Your Analytics Are Telling You. Review the web analytics for your website or blog and look at what they tell you about your content and your site design. Specifically, look at where your traffic is coming from and what keywords and phrases people are searching for to get to your site. Note which pages/posts people visit most often and how much time they spend there. This can help you as you re-design your site, or it can aid when you look for new content to create. Step 5: Survey Your Customers. At some point, you will want to take a direct assessment of how we’ll you’re doing from your customers. Provide a brief 3-5 question survey to find out how what you’re doing right, where you can make improvements, and what suggestions or questions your customers may have. It’s a great way to get feedback and let your customers know you’re focused on meeting their needs. (Please take a few moments to fill out our brief survey). Performing each of these tasks takes a dedicated effort, however once you get the hang of how all these steps work in conjunction together and how you can use tech tools available to make your time more productive, you’ll find that managing social media on a limited budget is a lot easier than you think. 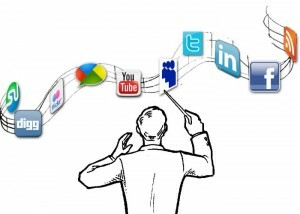 What tips or tricks do you have for managing social media on a limited budget?